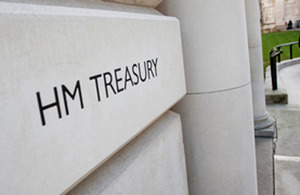 The Chancellor of the Exchequer, George Osborne, will make the next Budget statement on Wednesday 19 March 2014. Each year the Chancellor of the Exchequer makes the Budget statement to the House of Commons outlining the state of the economy and the government’s proposals for changes to taxation. The House of Commons debates the Budget and looks at the Finance Bill, which will make law the Chancellor’s proposals. The Chancellor of the Exchequer delivers his Budget statement to Members of Parliament in the House of Commons. The first part of the statement typically begins with a review of the nation’s finances and the economic situation. The statement then moves on to proposals for taxation. The power to make these changes, before the Finance Bill is passed, comes from the House of Commons approving a motion for the provisional collection of these taxes. After the Chancellor finishes his speech but before the Leader of the Opposition responds, the Chairman of Ways and Means puts a single motion to the Commons asking for agreement to these changes. This is called the ‘Provisional Collection of Taxes’ and is agreed by the House, meaning that the changes can come into effect at 6pm on Budget day. Traditionally the Leader of the Opposition, currently Labour Leader Edward Miliband, replies to the Budget Speech. The Budget is usually followed by 4 days of debate on the Budget Resolutions – these are the tax measures announced in the Budget. Each day of debate covers a different policy area such as health, education and defence. The Shadow Chancellor makes his response the day after the Budget statement during the Budget debates. Budget Resolutions can come into effect immediately if the House of Commons agrees to them at the end of the 4 days of debate, but they need the Finance Bill to give them permanent legal effect. A new Finance Bill is presented to Parliament each year. It makes law the proposals for taxation made by the Chancellor of the Exchequer in his Budget statement. The government then produces a report in response to the Committee’s findings, often with a contribution from the OBR. The Chancellor of the Exchequer makes an Autumn Statement each year in November or December. The Autumn Statement provides an update on the government’s plans for the economy based on the latest forecasts from theOBR. The OBR forecasts are published twice each year, at the Budget and at the Autumn Statement. ← Which Country has the highest Tax Rates?